Computers entered the work-a-day world about 50 years ago, at a time when data was to be crunched, sorted, and operated upon. Then our machines became better and our programming more sophisticated, allowing us to begin processing information along with data. Computer modeling and forecasting emerged. Today we find ourselves processing knowledge. It’s all around us, manifested as Apps, web bots, avatars, algorithms and such; and in physical form as driverless cars, robots, GPS, travel route planning, autonomous drones, smart bombs/ military equipment. This is the province of AI, where our machines process knowledge, a high order thinking function. It’s not about crunching, computing, merging and sorting data/information, but about processing knowledge—such as strategies, scenarios, contingencies, gaming…etc. ; and the ultimate holy of holies….wisdom. It is not the information revolution we are in, but more accurately, the knowledge revolution. Detecting minute patterns in scientific and engineering analyses could lead to new discoveries and innovative new products. Likewise, minute changes in human behavior can provide insight into long-term social changes. The Internet of Things, enhanced with deep learning capability, would seamlessly link sensors, data, information and knowledge together to greatly improve the operating efficiencies of utility services, communication networks, traffic control, airline monitoring and scheduling…etc. 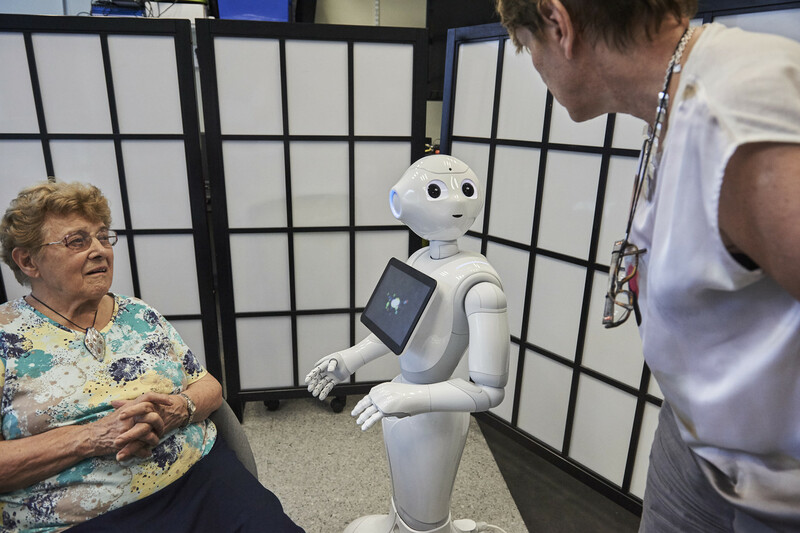 Autonomous robots could take on new roles in society, such as helpers for the handicapped and mobility challenged; avatars and tutors for early school-age children and classrooms; and, serve as companions and monitors for dementia afflicted senior citizens, and surgery recovering patients. Intelligent systems could process a variety of applications for such things as bank loans, job selection, contractor selection….etc. 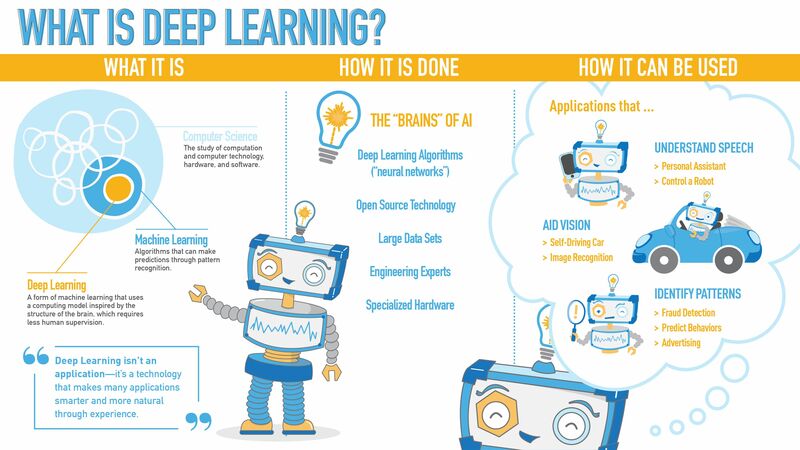 Intelligent systems could be applied to making financial decisions either on a personal or fund level—learning and observing from many years of data and trends; making recommendations and perhaps even executing trades. AI systems could be used to learn the buying habits of customers/groups of customers that could be used to stimulate the development of new/improved products and services, or provide personalized recommendations for internet shoppers. Smart systems could help doctors better diagnose unusual medical conditions, avoid medicine conflicts, and warn of potential future complications. This is what scares folks not prepared for this kind of workplace. It is not about right answers anymore, but rather about deep thinking and learning, decision-making, asking the important questions, strategic planning and such. Maybe it is not a coincidence why the modern workplace is no longer interested in the SAT/GRE/GPA scores of potential new hires—why the soft skills of prospective employees is important to them. The knowledge revolution will require a new mindset…one of continuous learning, leadership, teamwork and communications. The workplace ante has been seriously raised. It is not about what you know, but what you can do with what you know; how fast you can do this; and how effectively you can capture that knowledge process and teach machines to do this as well. 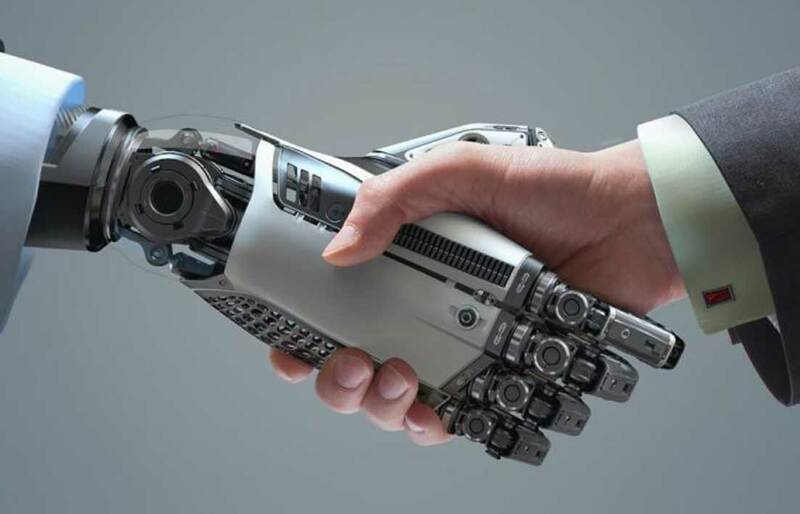 The use and application of AI is the next step in the usefulness of humans in the workplace; a new definition of human capital, and triggering a renewed look at what is intellectual property? Edison understood this in rudimentary form, when he developed his R&D lab concept, a process to turn raw ideas (data and information) into new products (knowledge); with the mantra of continuous learning and improvement of that knowledge. He fully appreciated that failure was an essential part of his machine learning—his human, organic machine….the product development team! Edison knew he had to compete in the marketplace based on higher order thinking skills. Don’t worry about some malignant AI based code taking over the world or enslaving our computers and society…turning us into mindless drones. Worry about whether our educational infrastructure [and parents] understand what the business world will require of students; and if our educators will be brave enough to change the way teachers and students are taught. This entry was posted in Inventions Edison Would Love on October 2, 2018 by Edison Innovation Foundation. It wasn’t so long ago folks were interested in getting more solar-electricity generated and used in actual applications. 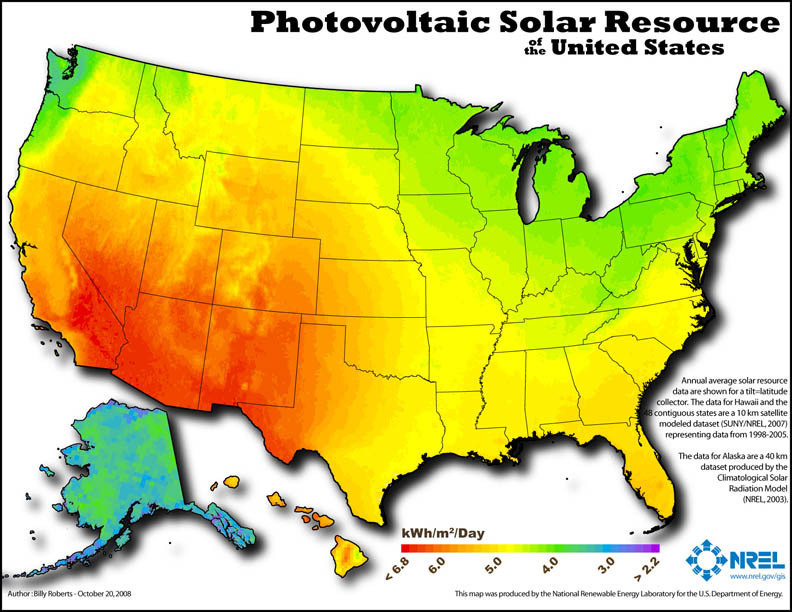 Today, there isn’t a state that does not have goals in place for this energy resource, or renewable portfolio standards that specify how and when solar generated electricity will be implemented. 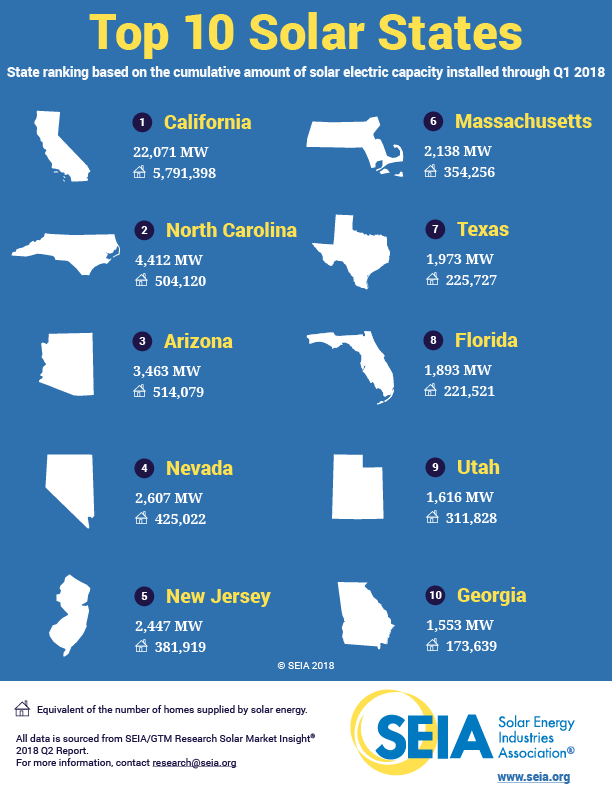 According to the Solar Energy Industries Association, here below are the top ten states in early 2018 showing their rank, the amount of solar electricity generating capacity installed ( in MW-megawatts) and the number of homes “solarized”. Edison was very interested in solar energy way back in 1910. He would be smiling now. Experience tells us the sun does not shine consistently across the U.S. as the map shown below indicates. It can vary quite a bit across a state, even across a small state like NJ where it is 13% more sunny in the southern half of the state. Not all states can be as sunny as the southwestern states. Dealing with those differences is what solar engineering is all about. Not so much sun as you would like basically means you need more solar panels to meet your needs-so solar system size is the answer and a consequent increase in installation costs to accomplish this. 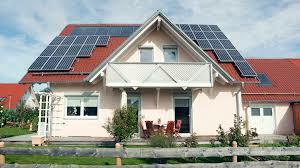 Smart engineering and energy conservation combined can make solar work in most areas. 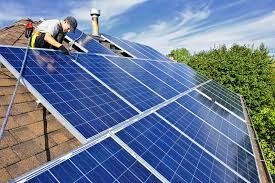 Solar panels come in handy module sizes that can be plugged together to get the job done. How many you need for say your own home depends upon the electric load you have, the amount of sunshine available at your site, time of day you want to serve the load while the sun is available, and back-up power availability either through the local utility or via your own battery storage. Panels can be installed directly on home roofs, adjacent garages and even incorporated into ground-mounted arrangements. Various tax credits are available to help defray installation costs, so jump in and learn about this exciting option for your home. 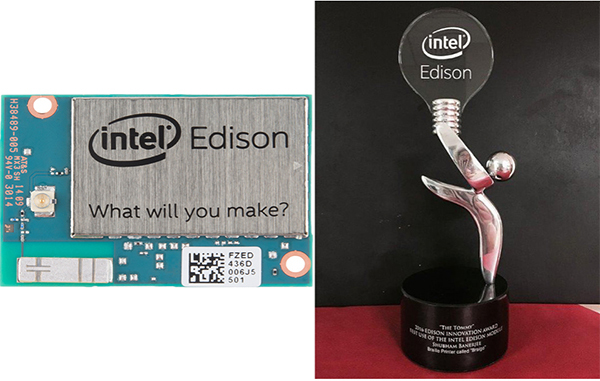 Make Edison proud! This entry was posted in Inventions Edison Would Love on August 21, 2018 by Edison Innovation Foundation. The idea of farming is being re-imagined, no longer a horizontal area of land, but a vertical affair instead, stretching up into the air. Could this be a way to introduce farming into the urban environment and put people back in touch with where their food originates? Vertical plant growth can be through hydroponics [where roots are immersed in a pool of water and nutrients], or aeroponics [where roots are misted with water and nutrients]. Artificial lighting is used to provide the “solar” input. But no soil is needed. Creates local jobs and industries for expanded tax base. Artificial lighting can be energy intensive, leading to energy emissions, and higher food costs. Are we likely to see a massive shift to vertical farming? It’s probably too early to know for sure, but some interesting trends are happening. Consider, at Sky Greens in Singapore, one ton of greens is produced each day using vertical farm techniques. Sky Greens is a single-story vertical farm. Give it a look at https://www.youtube.com/watch?v=0X8E7MmeYL4. Newark, NJ, based Aerofarms operates several farms. Its global headquarters hosts a 70,000 square foot vertical farm, [the largest in the world] capable of harvesting 2 million pounds of produce every year. Check it out at http://www.businessinsider.com/photos-of-aerofarms-the-worlds-largest-vertical-farm-in-newark-2016-2. 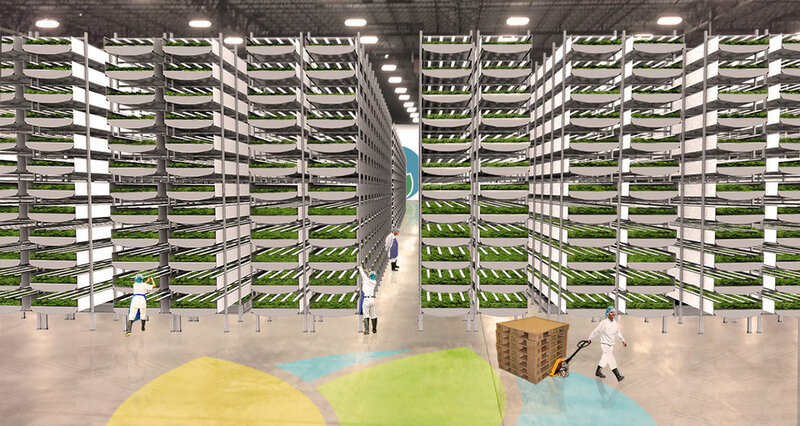 A rendering of Aerofarms’ new facility, the world’s largest vertical farm—built on an old manufacturing site. Even though vertically grown leafy vegetables are a bit more expensive, consumers like the freshness and locally grown nature of it all. Costs are not prohibitive and likely to improve with time and technological advances. Keeping those artificial lighting energy costs down is a challenge that needs to be addressed. In his later years, Edison was growing large crops of special plant varieties in Florida in an attempt to find a substitute for natural rubber. If successful, he would have established large farms in Georgia and Florida dedicated to growing the plants. Certainly, farming technology would have interested him. This entry was posted in Inventions Edison Would Love on August 14, 2018 by Edison Innovation Foundation. Think about an energy storage device that can store intermittent solar and wind energy in the form of hydrogen gas…..a kind of manganese-hydrogen battery. This water-based battery is under prototype development at Stanford University, and if successfully scaled up, can be recycled 10,000 times for use directly on the utility grid. 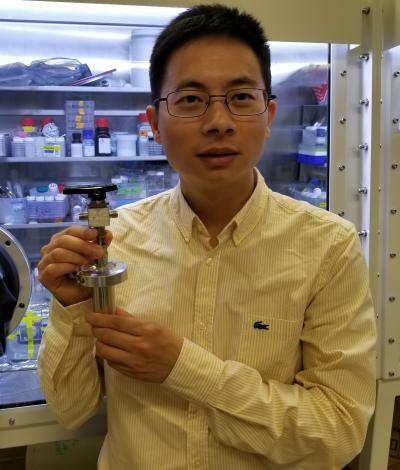 Postdoctoral scholar Wei Chen holds a prototype of Stanford’s water-based battery. Manganese sulfate, a cheap, abundant industrial salt that is used to make dry cell batteries, fertilizers, paper and other products is the secret sauce in this technology; allowing hydrogen to be formed and stored and converted back to electricity later. The Stanford team, working under US Department of Energy funding, estimates that over the expected lifetime of the energy storage system (10 years), it would cost a penny to store enough electricity to power a 100 watt lightbulb for twelve hours. According to DOE estimates, about 70 percent of U.S. electricity is generated by coal or natural gas plants, which account for 40 percent of carbon dioxide emissions. Shifting to wind and solar generation is one way to reduce those emissions but it creates new challenges involving the variability of power supply. The Stanford team is now performing some heavy duty engineering to meet demanding grid-scale performance criteria. The palm-size prototype uses platinum as a catalyst to spur crucial chemical reactions. This material is expensive, so the team is concerned with cheaper ways to make the manganese sulfate and water combination charge and discharge correctly. This entry was posted in Inventions Edison Would Love on July 24, 2018 by Edison Innovation Foundation.